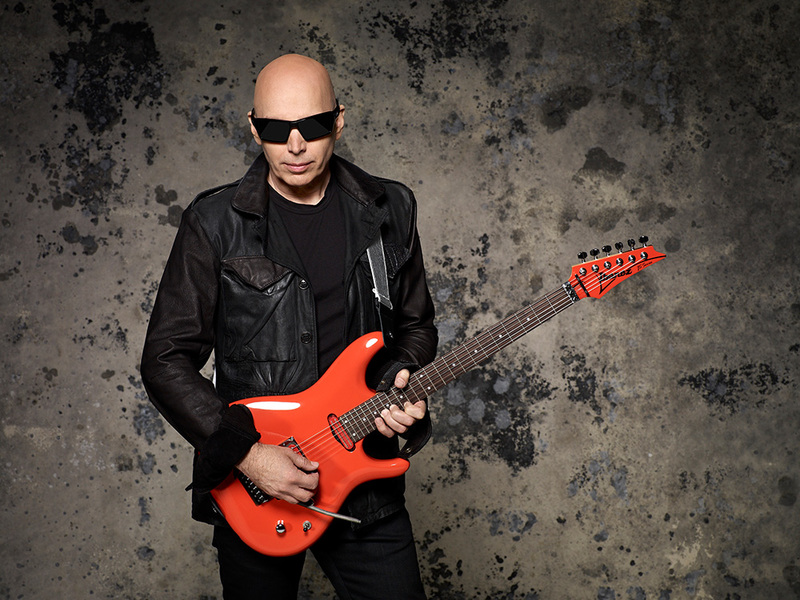 Joe Satriani is the world’s most commercially successful solo guitar performer, with six gold and platinum discs to his credit (including one more gold award for the debut album by his band Chickenfoot), and sales in excess of 10 million copies. 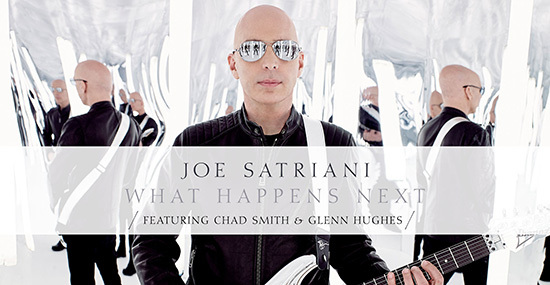 His 16th studio album, "What Happens Next" (Jan 12, 2018), picked up rave reviews as yet another creative breakthrough – this for a guitarist who has routinely topped guitar magazine polls since the release of his first full-length album, "Not Of This Earth", in 1986. Since September 18, 1970 (the day his idol Jimi Hendrix passed away), Satriani has dedicated himself to the artistry of the instrument. While still a teenager in his hometown of Westbury, New York, he taught guitar to another budding six-string hopeful, Steve Vai. A few years later, Satriani moved to San Francisco and played guitar in a popular new wave band, The Squares, and briefly joined The Greg Kihn Band before the release of "Not Of This Earth". Satriani’s reputation was already growing in guitar circles – along with Vai, some of his other students were Metallica’s Kirk Hammett and Testament’s Alex Skolnick – but in 1987, he broke through to the masses with his second studio full-length, "Surfing With The Alien", a massive seller (it hit No. 29 on the Billboard 200) that included the radio hits “Satch Boogie” and the title track. The success of that album caught the attention of Mick Jagger, who asked Satriani to be his lead guitarist on his first-ever solo tour, in 1988. As a live performer, Satriani has toured the world with each new release (his last concert tour for 2013’s "Unstoppable Momentum" saw the guitarist touch down in 32 countries). In 1993, he joined Deep Purple as a temporary replacement for Ritchie Blackmore during a Japanese tour. In 1996, Satriani founded the multi-guitarist traveling experience called G3, which has seen him share stages with Vai, Eric Johnson, Yngwie Malmsteen, Robert Fripp, among others. And starting in 2009, Satriani traversed the globe again as a member of Chickenfoot. The all-star band (which also includes singer Sammy Hagar, former Van Halen bassist Michael Anthony and Red Hot Chili Peppers drummer Chad Smith) has issued two albums, their debut and 2011’s follow-up, "Chickenfoot III". Satriani’s solo discography includes a host of classics, including 1989’s "Flying In A Blue Dream", "The Extremist" from 1992, "Is There Love In Space?" (2004) and 2010’s "Black Swans And Wormhole Wizards". His 15 Grammy nominations have been for songs such as “Always With Me, Always With You,” “The Crush Of Love,” and “Summer Song,” as well as full albums like "Surfing With The Alien", "The Extremist" and "Super Colossal". Satriani has appeared in motion pictures such as Christopher Guest’s 2006 release, "For Your Consideration", and the 2011 Brad Pitt starrer, "Moneyball". Through the years, he has designed and endorsed guitars, amplifiers and effects pedals for Ibanez, Marshall and Vox. His JS Series of guitars through Ibanez has been one of the company’s most popular and consistent sellers.